Engineering and management are most in-demand courses in the country currently. Many people pursue management course after doing engineering, to have an understanding of the business along with the technical knowledge. The engineering and management institutes in India are assessed on the basis of these major parameters – Learning and resources, teaching methodology, research work, graduation outcome, consulting and collaborative performance, perception and outreach & inclusiveness. Birla institute has made its name for both engineering as well as management colleges. BITS is one of the most renowned engineering colleges in India and has a history of more than 50 years. It has been providing range of undergraduate and post graduate courses in engineering. Birla also has management institutes in India by the name of ‘BIMTECH’ and is A+ grade college. The college provides various courses in retail and international business. Its main objective is to educate the young generation at undergraduate, postgraduate, doctoral, and post-doctoral levels for performing the most challenging engineering and managerial jobs in today’s competitive world. 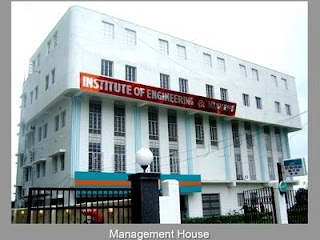 IEM is regarded as the 3rd best college for engineering in Kolkata. The college is known for its excellent infrastructure and placements. The college is also known as one of the best management institute in India with great faculty and tie-ups with international management colleges which helps in honing the skill as well as providing an international exposure. The institute has an excellent placement cell, wherein, 4 placement officers work as members of the placement cell, under the chairmanship of the Institute’s director. Highly effective Campus Interview and screening is an appreciated feature of this prestigious institute. It has successfully attained an all-round excellence in management and engineering education through very close interaction and coordination with the allied industries. The college is known for its vast campus, the variety of courses that the university offers, infrastructure and the latest facilities available in the University. The College has also earned its name for management courses. It has been acknowledged for its reach and inclusivity in the management courses. The University is also known for its placements for both engineering and management courses. The institute’s teaching excellence has earned for it the 2nd rank in Management in the 2018 ranking of NIRF which is released by MHRD, Government of India. 4. KJ Somaiya Institute: KJ Somaiya group has both engineering and Management College under its name. The engineering College has been given ‘A’ grade status and is amongst the top 150 best colleges for engineering in India. The college is also ranked amongst the top 8th private B.Tech. colleges in India. The college also established a management college in 1981. The institute has been ranked amongst the top 25 management institutes in India and amongst the top 10 MBA private colleges as well. All these make it a preferred choice amongst aspiring students. Based on recommendations from UGC and the State Government, University of Mumbai has conferred Autonomous Status to this college from Academic year 2014-15. This allows the College to award Degrees on behalf of University of Mumbai. 5. Amrita Institute: Amrita institute is regarded multidisciplinary institute providing courses in both engineering and management. The university has been accredited ‘A’ grade status and is ranked the 8th best university in India. The university also has tie-ups with various foreign universities for student exchange programs. The institute is ranked amongst the best engineering colleges in India with unmatchable infrastructure and lab facilities. The institute has a creative and skilful community of achievers who give immense importance to quality education and research work.